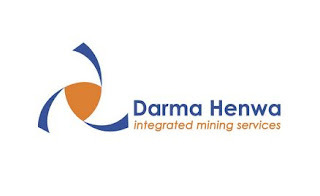 PT Darma Henwa Tbk, established in 1991, has evolved from an engineering contracting firm to become an integrated mining and energy services company with a solid foothold in the lucrative, resource-rich energy industry sector of Indonesia. In 2007 the Company took over the coal marketing business and is currently in the process of establishing businesses in the field of energy associated with coal. This, together with the expertise, human resources, working capital and strong fleet, will increase the strength of the Company. Candidate must possess at least a Diploma, Bachelor's Degree or Master's Degree / Post Graduate Degree in Engineering (Mining/Mineral) or equivalent. Candidate must possess at least a Bachelor's Degree in Human Resource Management, Psychology, Law or equivalent. Preferably Supervisor / Coordinators specializing in Human Resources or equivalent. Job role in General HR or equivalent. payroll activities, reimburse, staff loan, collecting staff hours, etc. Candidate must possess at least a Bachelor's Degree in Business Studies/Administration/Management, Human Resource Management or equivalent. Preferably Staff (non-management & non-supervisor)s specializing in Human Resources or equivalent. Job role in Compensation & Benefits or equivalent.